Top Tips For Surviving Your Shared Student House Nottingham! Is this your first experience of a shared student house Nottingham? Sharing with friends and strangers can be a learning curve, after all we all have different expectations. Our quick guide is designed to help you through those early stages and to ensure you have a positive experience. 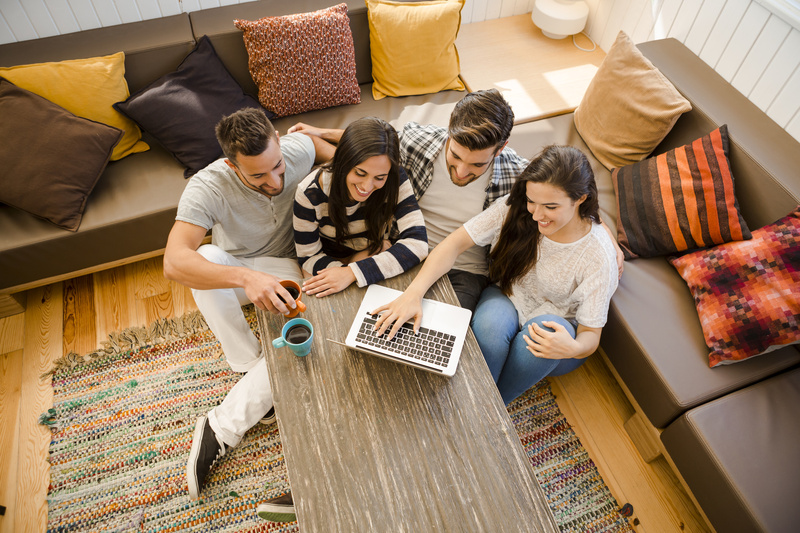 Get the most out of your shared student house, Nottingham. You may have spent years dreaming about this moment of independence but when the time actually comes, you may miss home. Prepare for this eventuality by setting aside a special time to speak to your relevant others and asking your parents to send frequent packages, filled with the home comforts which remind you of them. If you are celebrating freshers week or just excited to be back at university, having an upset stomach can put a halt on all the fun. Maybe you are used to having parents that cook for you and your first venture into the kitchen does not quite go to plan. To avoid a culinary disaster bare these few factors in mind. Clean the fridge. Boring but important! Remove items which are out of date. Never eat a takeaway the next morning, it looks better than it is. Never use fryers and pans whilst drunk. Who gets the best room? The pre cursor to the first argument in the house is usually over the best room. Don’t get too stressed out about the biggest space, once you start working and possibly partying a little hard, all you really need is a place to crash. Remember that this is just a shared student house in Nottingham and not your happy ever after home. Nottingham, it may pay to think ahead a little. At the end of the year, getting your deposit back will be of paramount importance. So ensure you make any records of damages to the property when you move in as this will prevent any problems at the end of the year.